We put our family law expertise to work in a holistic, efficient and sensible way. We strive to minimize the trauma involved in all family matters. At the Humphrey Law Office in Minot, North Dakota, we help families create comprehensive estate plans to protect their wealth and their families. When you need someone to listen to your needs, respect your rights, and help you to make hard choices, we are here for you. 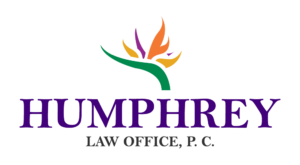 The Humphrey Law Office, P. C. can address most other legal issues that may come up during the course of representation. This saves clients time and expense of having to have another attorney address these problems.